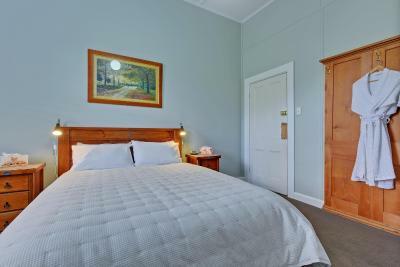 Lock in a great price for Mt Lyell Anchorage – rated 9 by recent guests! Lovely welcome and the breakfast basket was overflowing with goodies. 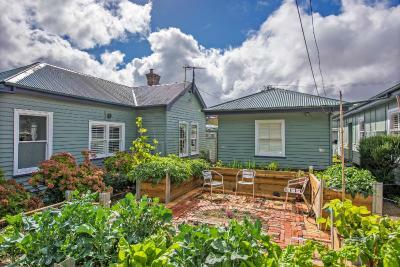 Very spacious cottage and great location. Highly recommended! Room was modern and clean, spacious and the food available for breakfast was great! It was absolutely lovely and cosy. It felt special especially with the moody weather outside. We did not have breakfast included. 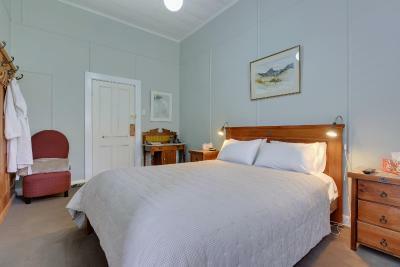 This is the first accommodation in Tasmania where I thought that price and photos matched up and exceeded my expectations. Also, the bathtub was a delight after a long wet day. 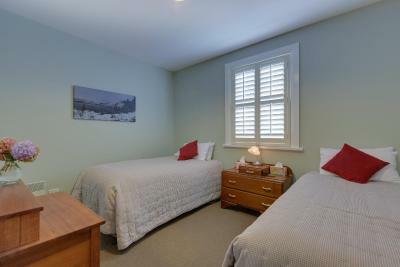 Very well organised and clean rooms in excellent condition. The owner went the extra mile to accommodate us. Location in center of Queenstown was excellent, close to the ABT Railway and the Paregon Theater. 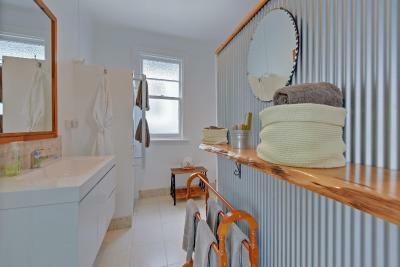 A beautiful little cottage right in town with all the amenities you need. 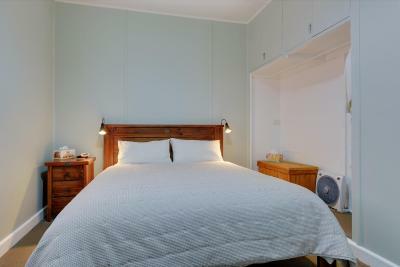 Very comfortable beds and electric blankets for those chilly nights. There is no stove or oven but an electric frying pan and microwave would be sufficient to cook a meal if you wanted to and a generous amount of breakfast provisions were included in the price. There are places within walking distance where you can get dinner if you don't want to cook. Private off-road parking is also provided and we were able to leave our car there while we did the West Coast Wilderness half day tour. 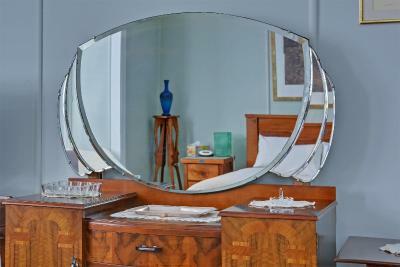 All in all, a very comfortable and enjoyable stay. It would have been nice to have been able to stay longer than one night. 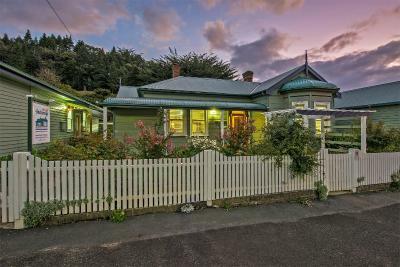 Mt Lyell Anchorage is a 19th-century house located in central Queenstown, Tasmania. 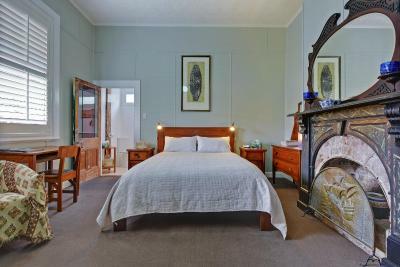 It offers heritage-style accommodations with modern facilities. West Coast Wilderness Railway is 650 feet away. Free WiFi is provided in all rooms. 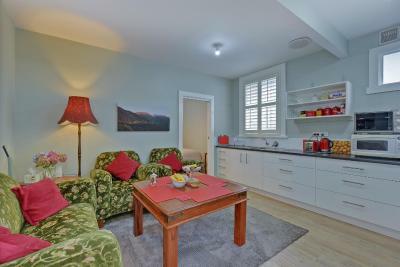 Guests can make use of the fully equipped communal kitchen and there is a shared lounge/dining room with a fireplace. A variety of supermarkets, hotels and cafes are within 2 minutes' walking distance. 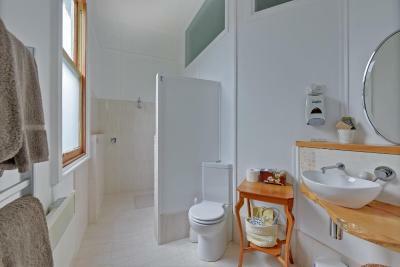 The rooms are spacious and some have a private private bathroom. 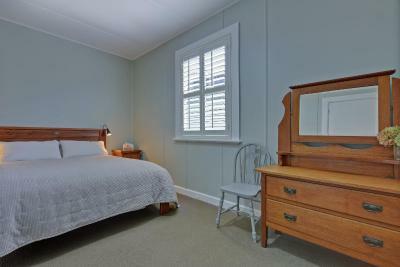 There are 2 self-contained cottages separate to the main house available. 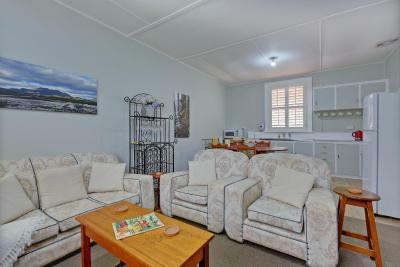 Mt Lyell Anchorage is located a 2-hour drive from Lake St Clair National Park. 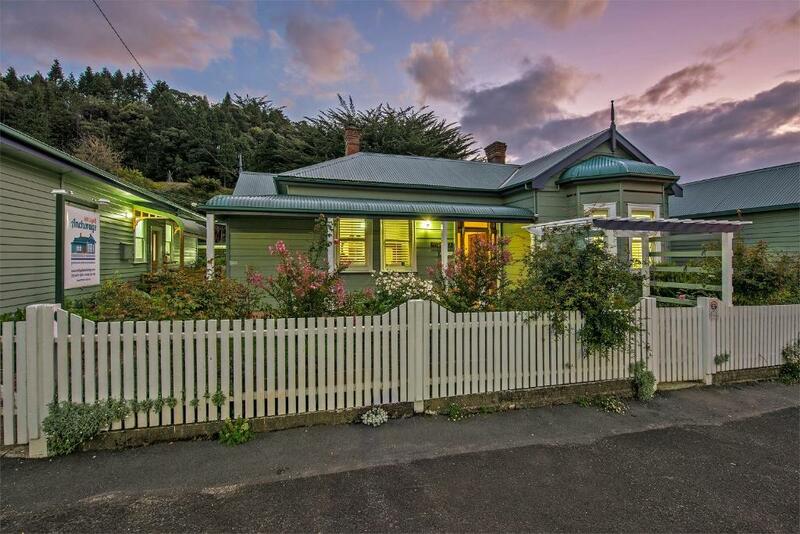 The Burnie and Cradle Mountain National Park are also a 2-hour drive away. 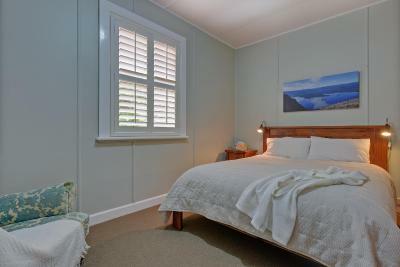 When would you like to stay at Mt Lyell Anchorage? 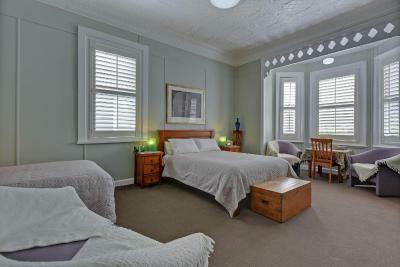 This room features comfortable seating, a 32-inch TV and a private bathroom located across the hall. Please note children under the age of 14 cannot be accommodated in this room type. 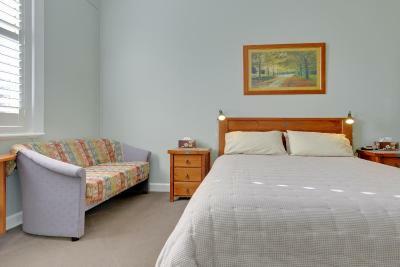 This spacious room features a bay window, comfortable seating and a 32-inch flat-screen TV. 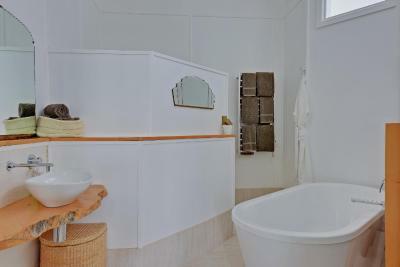 The luxurious private bathroom offers a bathtub and a separate shower. 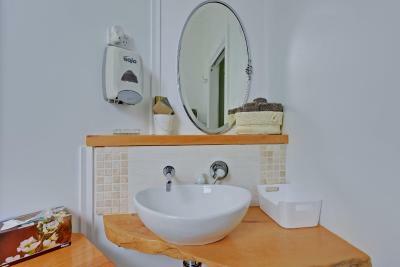 This room includes a comfortable chair, a 32-inch flat-screen TV and a luxurious private bathroom. 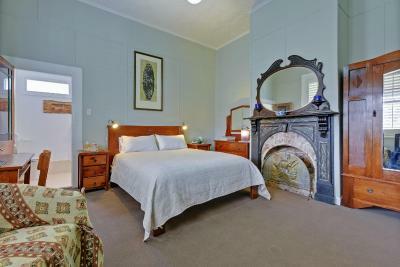 This large room features a modern en suite shower room, comfortable seating and a 32-inch flat-screen TV. 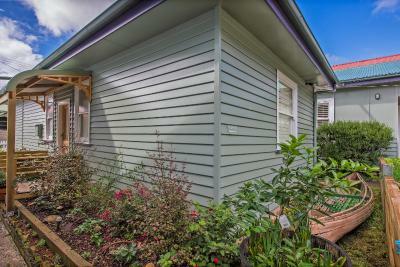 This self-contained cottage has 2 bedrooms, an open plan kitchenette and living area as well as a bathroom with walk-in shower. Please note children can be accommodated in this room type. 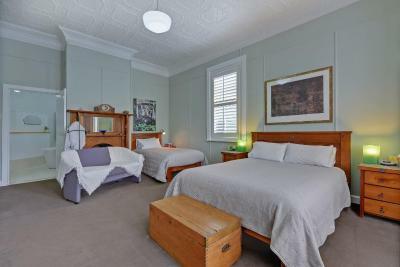 This self-contained apartment features 2 separate bedrooms, a fully equipped kitchen and a living area with a 32-inch flat-screen TV and comfortable seating. 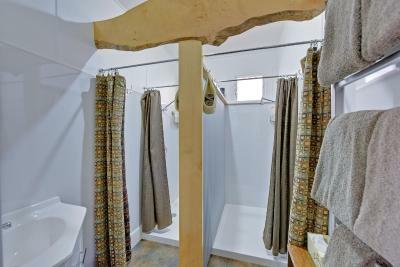 The bathroom features 2 walk-in showers. 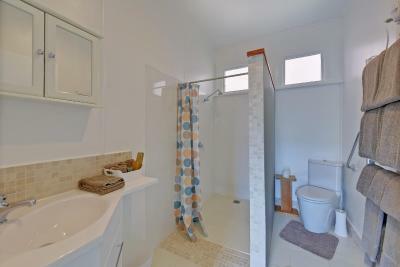 This self-contained bungalow features 2 separate bedrooms, a fully equipped kitchen and a living area with a 32-inch flat-screen TV and comfortable seating. 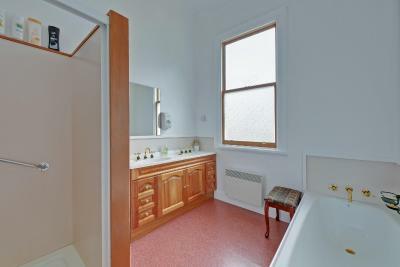 The bathroom has a walk-in shower. 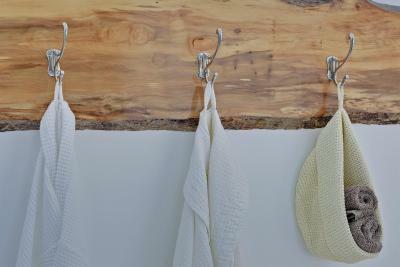 House Rules Mt Lyell Anchorage takes special requests – add in the next step! Mt Lyell Anchorage accepts these cards and reserves the right to temporarily hold an amount prior to arrival. Children cannot be accommodated in Huon, King Billy, Sassafras and Blackwood rooms. Please note that payment for cots and/or extra guests are payable to the hotel upon check-in. Please note no extra guests will be accommodated without prior notice. 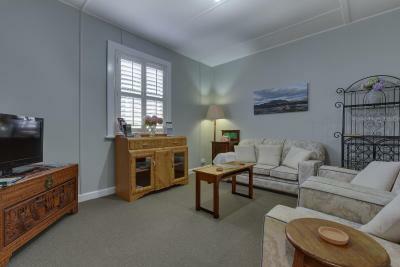 Please note that WiFi is only accessible in the Huon and Sassafras rooms. All other rooms can access WiFi on the front veranda of the main house. Please inform Mt Lyell Anchorage of your expected arrival time in advance. You can use the Special Requests box when booking, or contact the property directly using the contact details in your confirmation. Its a little thing but it would have been nice to have a basic requirement- COFFEE and milk. 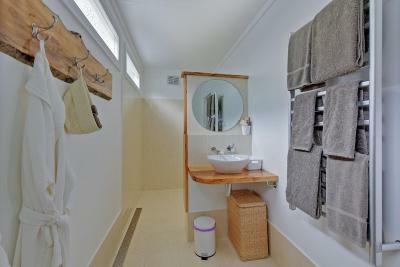 Just a tip: Before booking make sure that your package is what you are expecting - an ensuite room with breakfast. 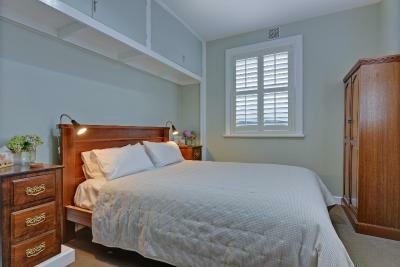 The tip with this property is to ensure that you are booking a room with an ensuite and not with a shared bathroom. We were upgraded free of charge as we didn't realise the room on booking.com did not have an ensuite. The room we were given had a massive modern bathroom/shower area. 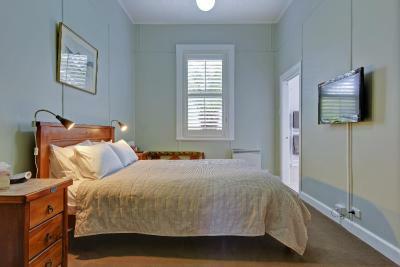 The bedroom was very comfortable and free wi-fi was offered on arrival. 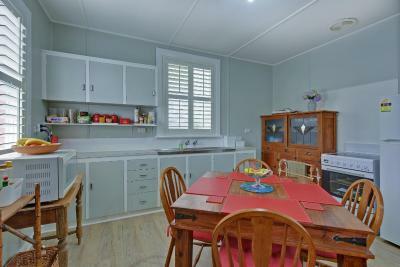 There is a shared, fully-equipped kitchen and comfortable lounge area. 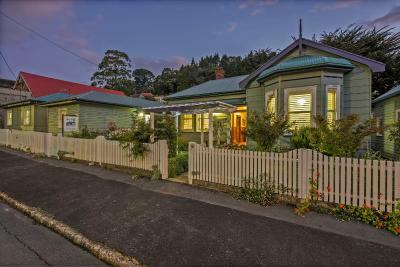 The B&B is right in the centre of town and very convienient for the railway and taverns. The fire in the lounge was not on enough to heat sufficiently. The kitchen was freezing. The bathroom " across the hall" was actually down the hall and round the corner. The house was cold most of the time. For the premium price charged, we expected the house and grounds to be in better condition. It was clean. Comfortable rooms and lounge. Queenstown itself is not the most likable place. The main door of the hotel is quite loud, especially if you have the room next to it. No hostess around.....we were in a B& B fir the personal touch.....that wasn't....ambience and cold dark uninhabited buildings uninviting...no lights / fire/ fresh bake Disappointing as could be so so lovely We were the only guests and put into a room with bathroom down hall....would have been nice to been upgraded to newer suite?